In a previous post, I discussed the mistakes commonly made when defining who is an expert in science. In this post, I would like to address the question of who is an expert in Torah. The confusion surrounding this issue is probably the most significant factor involved with those people who, with little or no knowledge of the issues involved, decided that in STARC the Gedolim had to be correct. After all, between a 29-year-old average yeshivah graduate, and two dozen Gedolei Torah, isn't it obvious who's correct? It's like matching a high-school student against two dozen Nobel-prize winning scientists! In defining "experts in Torah," (or "Gedolim",) there are two misconceptions that are commonly found. The first is the assumption that anyone with expertise in one area of Torah automatically possesses expertise in all areas of Torah. This is something that I discussed in an earlier post (perhaps someone can find the link). There is a common assumption that anyone who is, say, a prominent Rosh Yeshivah, and/or is known as a great Lamdan (i.e. possesses great expertise in applying the Brisker Derech to certain parts of Shas), is also proficient in all areas of Torah, as well as automatically being a tzaddik. I don't know why this assumption exists, but there is no basis for it. First of all, a good Seforim library will contain many thousands of volumes, and it is impossible for anyone to be proficient in anything beyond a small fraction of these. Second, there are different areas of Torah study that people choose to specialize in, so there is simply no basis for assuming that specialists in one area are knowledgeable about other areas. Third of all, the particular field of Torah relevant to my books is a very arcane area, so there is no reason to expect people to be proficient in it if they do not have a prior interest in it; I doubt that the Gedolim who opposed my books ever researched the views of the Rishonim on the critical passage in Pesachim 94b about the sun's path at night. Fourth, and perhaps most significantly, some of the most important texts in this field are deliberately avoided in yeshivos. The Moreh Nevuchim is a case in point - I have been told, and I believe it to be true, that most of the Gedolim who signed against my books have never studied the Moreh. The second and more fundamental point in judging who is an expert in Torah relates (as with expertise in science) to epistemology and worldview. The Gedolim who opposed my books all come from a particular school of thought: the anti-rationalist movement of the last few hundred years. Rav Moshe Shapiro has studied the Moreh Nevuchim, but has done so through the lens of Maharal, not Rambam. My books, on the other hand, are based on the worldview of the rationalist Rishonim of Sefard (and a few later figures). But don't the Gedolim know about the other worldview? Not adequately. Some, such as Rav Elyashiv, probably do, to some extent; and that is why he says that the books are not technically kefirah, just forbidden for the charedi world. But most, although they are aware that Rambam and some other aberrant figures had some "strange" views, are entirely unaware of how prominent and mainstream was the view that Chazal were not infallible in science. Any sources that they are shown, to that effect, are immediately interpreted from a non-rationalist perspective. "It's a forgery, it was just for kiruv, it is supposed to be interpreted according to a deeper meaning," etc., etc. The haskamos on the notorious work Chaim B'Emunasam make this very clear. I also have a letter from Rav Scheinberg in which he states that any source from the Rishonim saying that Chazal erred in science must be a forgery. Thus, the analogy of a high-school student to a group of Nobel-prizewinners is wrong, because in that example, both are operating within the same general approach. A better example would be - and please forgive the analogy, but it illuminates the point well, so insert plenty of "lehavdils" - an average rabbi against all the leading scholars of the Vatican regarding whether the New Testament reflects Divine inspiration. The Vatican scholars are clearly far more learned regarding the New Testament text and surrounding literature and history. Nevertheless, since they are coming from a radically different worldview, there is no reason to give them greater weight than the rabbi regarding the question of whether the New Testament reflects Divine inspiration. Finally, it is with regard to this point of worldview that the advantage of the academic approach comes into play. The passionate religious authority, especially in the charedi world, is ideologically and emotionally committed to a particular approach to Judaism. The problem is that the traditionalist, anti-rationalist worldview, by its very nature, precludes the acknowledgment of any legitimate alternative. To admit to the existence of radically different approaches would undermine this religious worldview. Indeed, as Rav Yaakov Kaminetsky writes in Emes LeYaakov, the goal of the charedi/ yeshivah approach is to minimize any apparent theological differences between the Rishonim, even if one needs to engage in creative intellectual gymnastics to do so. But the academic scholar usually does not need to say that all great Torah scholars of the past subscribed to the approach that he deems correct. He is freely able to acknowledge the existence of very different schools of thought. For these reasons and more, it's wrong to look at STARC and other such disputes as "young whippersnapper versus a multitude of great Torah authorities." Rather, it's "the rationalist approach of the Sefardic Rishonim and others, versus the anti-rationalist approach of later authorities." Or, more precisely: "the rationalist approach of the Sefardic Rishonim and others, versus the anti-rationalist approach of later authorities who cannot in principle acknowledge the existence of other approaches." Do you entertain the possibility that some of these gedolim don't really believe what they are signing or saying? Perhaps they just say it for what they perceive (correctly, incorrectly, or because they were fed information by someone with an agenda) as the 'greater good' of their system? I doubt that the Gedolim who opposed my books ever researched the views of the Rishonim on the critical passage in Pesachim 94b about the sun's path at night. Fourth, and perhaps most significantly, some of the most important texts in this field are deliberately avoided in yeshivos. The Moreh Nevuchim is a case in point - I have been told, and I believe it to be true, that most of the Gedolim who signed against my books have never studied the Moreh. Yeshivos don't study Seder Taharos or Yerushalmi either. Does that mean none of the gedolim are familiar with seder taharos or Yerushalmi? This is a laughable argument. I think you should do some real fact-finding before you put out rumors like these. They do not enhance your cause and seem to vindicate your opponents' criticisms. Especially when these rumors or intuitions are condescending and are an open insult to the competence of leading rabbis of the generation. You just went through Yom Kippur. Did you not just confess to zilzul horim u'morim? Well, I know that one of the Gedolim who opposed my books was shown the relevant parts of the Moreh and insisted that it must be a forgery. And considering their insistence that the view that Chazal were mistaken in science is kefirah, and yet it is the view of virtually all the Rishonim on Pesachim 94b, then I am confident that I am correct on that point. Regarding zilzul morim - I think that the big zilzul going on here is that the approach of virtually all the Rishonim is being deemed a perversion of Judaism. In fact, Issac, as I think about it, your comment makes the Gedolim look much worse. I argued that they are simply unaware of the Rishonim whose approach they deemed kefirah - it's a limmud zechus on the Gedolim. You claim that the Gedolim are aware of these sources in the Rishonim, but deem them kefirah anyway! Re forgery. As one teacher in YU liked to joke: the most infamous heretic in Jewish history is a guy named "Talmid To'eh". Which reminds me: I was browsing my shul's library before Mincha and flipped through "The Obvious Proof." which, incredibly ironically, is not even a particularly eloquent argument for Intelligent Design, but rather an extended explanation of the power of cognitive dissonance! "My books, on the other hand, are based on the worldview of the rationalist Rishonim of Sefard (and a few later figures). " Personally, I'm mostly a rationalist, but I can't help but "prefer" the non-rationalist positions in a few cases. I was wondering if you'd be willing to do a post describing a few cases, if any, where you might prefer a non-rationalist understanding of a Torah topic. R. Slifkin - you haven't done a whole lot to help your case here. You've just deferred the same argument to a different plane - "which approach should I subscribe to - the Rationalist approach subscribed to by the Sefardim and currently advocated by... some 29 year old yeshiva graduate, or the Revelationist (I think the best word for your purposes, by the way) approach held by the Torah experts?" I think it would have been worthwhile to emphasize that your approach isn't being rejected just because of ignorance, but also because of a knee-jerk reaction. The position held by the "Torah experts" isn't held due to serious, lengthy reflection on the issues, but an impulsive response to issues that they worry will undermine "the lomdus," as I like to put it. As such, even if they weren't ignorant of the particular different views involved, I think they'd still try to read mysticism into the Rambam, not just due to ignorance or epistemology, but because they're worried the rationalist approach will undermine their yeshivos. Otherwise, once these "Torah Experts" encounter these new sources, why should they have such a problem with them if they give them serious thought? If this meta-Torah methodology (rationalism) is deemed inauthentic by the Torah experts, who am I going to listen to? Unless you emphasize that there is a certain fear of change and ACTUAL REFUSAL to give the matter the serious thought it deserves, at work here, your case doesn't get much better. It's not "upstart vs. Gedolim," it's "upstart vs. the whims of the Gedolim." Some might still say they win over you, of course, but you get the idea. You've just deferred the same argument to a different plane - "which approach should I subscribe to - the Rationalist approach subscribed to by the Sefardim and currently advocated by... some 29 year old yeshiva graduate, or the Revelationist approach held by the Torah experts? More precisely: "which approach should I subscribe to - the Rationalist approach subscribed to by the Sefardim and currently advocated by... some 29 year old yeshiva graduate, or the Revelationist approach currently advocated by those of that school of thought?" I'm happy with that presentation! Your point about the lack of serious reflection on these issues is certainly very valid. Let us not forget that there are many great Torah scholars of our age who certainly do prescribe to the "rationalist" worldview or many aspects of it: Rabbi Aaron Lichtenstien, Rabbi Hershel Shacter, Rabbi Yaakov Ariel, Rabbi Shlomo Aviner, Rabbi Dov Leor and many more. Also all those that lived not that long ago: Rabbi Yosef Dov Soleveichik, Rabbi Kook, Rabbi Hertzog, Rabbi Goren, Rabbi Kafah, Rabbi Ben-Zion Uzziel and many more. There are also the Myriad of Modern Orthodox and Dati Leumi Rabbis who are very learned in Torah even if they're not on one of the highest tiers of knowledge in Torah and there numbers are enough to give credence to such a world veiw. This is a modern Hashkafic disagreemment between current Rabbis, Rabbinical organizations and Movements. RCA/OU/YU/Young Israel/Tzohar/Mizrachi vs. Agudah/Degel Hatorah/Eida Haredit.I admitt openly that i don't not know for sure these Rabbis, their opinions on the matter and to what extent they are rationalist, However I speculate with confidence that all or almost all and almost all Modern Orthodox and Dati Leumi Rabbis would not call Rabbi Slifkin's ideas Kefira and many of them would embrace at least some of his ideas. I am not saying that this is the only matter that divides the 2 camps, but it is one of them. Point being it's not current Rabbis against the Sfarde Rishonim, rather today's Rabbis against today's Rabbis and each can find support amongst the Rishonim or early Ahronim. I often posit that those who maintain a 'Chazal knew all science' approach would be more reluctant to do so if they we of a more historicist mindset. Let one consider life a thousand years ago, well after the era of Chazal was over. Compared to our existence, people lived lives of appalling primitivism. They had none of the benefits of modern sanitation, had a life expectancy of forty, and were completely ignorant of everything we take for granted today (such as that washing hands is important for preventing the spread of disease). It simply wasn't the case that life was remarkably different for Jews than it was for the general population, as anyone familiar with Jewish history will realise. Jews did not live longer, had no greater insight into medicine or technology (unless they were scholars of these disciplines on a secular level) than anyone else - yet some would have us believe that these people knew all of modern science, yet they apparently neglected to tell anyone about it (or even to leave any evidence whatsoever that they had an advanced knowledge of science). If Chazal secretly knew of Semmelweis' discoveries 1200 year before anyone else did, why would they not tell anyone, when millions died due to ignorance of what we now consider basic principles of hygeine? R.Slifkin I am a huge fan and I am filled with contempt for the people who mistreated you, but come on, is it not time to move? Any person who is capable of independant critical thought, thinks you are right and the book banners are wrong. While your first couple of years of self defense were necessary and educational, your readers and fans understand by now where you are coming from and how it is that you feel able to stand toe to toe to the charedi giants on the subject of science and the torah. So is it really necessary, five years later, for post after post justifying yourself? I, and I dare suggest, many others, would prefer if you concentrated your tremendous talents on discussing original topics rather than endless attempts attempts at self defense. As an aside, are you not at least partially happy, in hindsight, with what transpired. After all, it took you from a little known figure to a world famous, wikipedia-worthy, personality, and while perhaps, it made your name synonymous with ignomy in the super-charedi world, the ban caused you to become known and loved to thousands of critical thinkers. best wishes for a happy/healthy new year to you and your fam. So, going back to the title and point of this post, a Torah expert, is by the nature of the vastness of the field, only going to have a circumscribed realm of expertise. This then is comparable to science and in fact any general field of knowledge. I wonder though Rav Slifkin, who would you deem qualified to critique your work. If, in the interest of credibility, we would like to introduce something akin to peer review into the field of Torah research/study, what kind of Torah expertize would be needed to to review your work? On a different topic, Phil also raises an interesting point. I too would be interested to know whether there is anything that you tend towards a more non-rationalist view. Prophecy, perhaps? 2) The rejection of the rationalist school and the labeling secular philosophical approaches to Judaism as heresy has a very long history-- including an appreciable number of...Spanish rishonim. How exactly is it insulting to these other rationalist rishonim for contemporary rabbis to carry on a well-worn tradition from the rishonim who already condemned these views? Deeming their approach to Chazal as a fundamental perversion of Torah Judaism is not an insult to their greatness? Surely you are joking. How exactly is it insulting for me to describe the reality about the current Gedolim and thereby defend the honor of the Sephardic rationalist Rishonim? Please continue to post regarding all of the fascinating aspects of STARC. As you have pointed out there are many interesting aspects to this fascinating story and issue and it is more than relevant and useful for you to lead the effort to understand the many ramifications of what transpired. Often historically it takes many years or even decades for the significance of an event to be digested. Why would we want to stop the "digestion process" before its completion. Yes, please do discuss many other topics but also continue to focus on the ramifications of STARC. It just dawned on me-have you considered putting together a book of essays by you, your detractors and supporters related to STARC? You seem to be simply ignoring my response and repeating your question. I'll wait till you respond to my response (2 points). Ascribing incompetence to leading rabbis based on hearsay is quite insulting. Sephardic rishonim's honor don't need a defense because it is not being attacked. Their views are being attacked. And they have been attacked for centuries with no insult to their honor. We really are not communicating very well, are we? Rabbi Slifkin, great post. What you write seems simple enough to me today, but when I look back I realize that it took me a great many years to figure these simple points out. The truth is that all of them really come down to simple intellectual derekh eretz. "There are also the Myriad of Modern Orthodox and Dati Leumi Rabbis who are very learned in Torah even if they're not on one of the highest tiers of knowledge in Torah..."
Not on one of the highest tiers? Why would you raise the possibility that they are not? Simply because they are not on the typical "gedolim" list? The truth is that all the people you mentioned put the greatest charedi gedolim in their back pockets. One thing that you must agree on: the Gedolim have far more experience in learning the words of the rishonim than you do. Many sources that you quote are understood differently by the gedolim. I admit I have not read any of your books, (I come here to hear about how the establishment is treating you) but from your posts I can say that I'd probably agree with them. You don't seem to be very skilled at learning the words of the rishonim. I believe the gedolim's experience in learning the words of the rishonim in halacha should also assist them in detecting forgeries in the rishonim in other areas. But "godlus" is not really connected with knowledge. Is is a matter of popularity. This is the best time of year to see who is a bigger Godol. The more people have him on their succa wall, the bigger the Godol is. Call it "a succa test". During the year you have to rely on the middle page of Yated/HaModia or watch the Bechatzos Kodsheinu DVD. Second of all, it's not based on hearsay, it's based on reading what they write. Sephardic rishonim's honor don't need a defense because it is not being attacked. Their views are being attacked. Ah, I see. Saying that THEY have a fundamentally perverted view of Torah Judaism would be insulting, but saying that their VIEWS of Torah Judaism are fundamentally perverted is not insulting. You don't realize that this makes no sense? Rabbi Slifkin, great post. What you write seems simple enough to me today, but when I look back I realize that it took me a great many years to figure these simple points out. Me too. I hadn't even figured it out when the ban happened. One thing that you must agree on: the Gedolim have far more experience in learning the words of the rishonim than you do. You seem to have missed the point of the post. The point is that this experience does not count for anything, just as the greater experience of the Pope with the New Testament does not mean that he has a better understanding of its divine nature. Many sources that you quote are understood differently by the gedolim. Actually, most of the sources that I quote are not even addressed by them and they haven't even heard of them. Those that they do address, are given unconvincing explanations, such as that they are forgeries. There is not the slightest reason to believe this. First of all, halachah has nothing to do with theology. Second of all, they are not trained in manuscript research. In fact, the nature of their worldview is that they are less credible when claiming things to be forgeries. Consider Rav Yaakov Emden's claim that the Moreh was a forgery. 1) The definition of Gadol today is not the same as the classic definition. Just like Daas Torah has morphed from "someone with a comprehensive knowledge of Torah and the ability to competently apply it in novel situations" has morphed into "somewith who knows what God wants all the times and is therefore infallible and must be obeyed without question", so Gadol used to mean "someone with a supremely large knowledge of Torah" and now means "leading political figure in the Chareidi community". As a result, Rav Sliffkin, you needn't be worried because "the Gedolim" banned you any more than BH Obama needs to be worried because the Republican leadership doesn't like him much. What I'm trying to do is explain my view to people such as Yakov above. >There is not the slightest reason to believe this. First of all, halachah has nothing to do with theology. Second of all, they are not trained in manuscript research. In fact, the nature of their worldview is that they are less credible when claiming things to be forgeries. Consider Rav Yaakov Emden's claim that the Moreh was a forgery. RYE is a special case - first of all, he was a very critical thinker. Second of all, he knew all about manuscripts, as almost any great scholar of his age did since his era was well before the publication explosion of the 19th century, and the greatest Judaica manuscripts were mostly still in private hands. As far as halacha and theology, that's obviously a more complex issue than being reduced to that. Consider Louis Jacobs's entire book Theology in the Responsa, which obviously doesn't pretend to be comprehensive. Although there are of course sources which try to deliniate the line between Aggadah and Halachah, it is pretty clear that not only can't they neatly be divided, but that you really can't say something as final and absolute as "halachah has nothing to do with theology." All of the above said, please resist requests to cease discussing STARC, unless you feel it would be personally beneficial. Your perspective is important, not just for the present discussion, which should be publicly chewed over by all interested parties, but also for posterity. 1) Regarding the Vatican analogy: I suppose frum people will get your point. That being said, Vatican scholars are far more academic regarding the New Testament than the "gedolim" regarding chazal's infallibility. 2) I'm not currently holding in the sugyah, but, in contrast to some other bloggers here, I would refrain from making this a rationlist vs. anti-rationalist machlokes. That chazal were not scientifically omniscient is not only obvious but supported by statements from chazal themselves. "Anti-rationalist" rishonim were not the the "gedolim" of today, completely lacking in critical thinking skills. Rov rishonim, include "anti-rationalists" such as the ramban, knew chazal were mistaken in scientific matters. Even the famous minority opinion of the rashba, practically the only source for the current charedi derech, tells us WHY he thinks the scientists' experiments were poorly performed. He didn't just stick his fingers in his ears. 3) Regarding those telling you to just get over it. I can't comment on what is best for you psychologically. I can say that the ban on your works will be worthy of sociological analysis for far far longer than five years. The Galileo affair is still worthy of reflection, and the Slifkin affair is much more troubling. Galileo's ideas were not clearly in the scientific mainstream, he had personally insulted various religious personalities, and yet the hearings concerning his heresy were still performed in an open and (semi) rational manner. Scientific experts were consulted, some even members of (God forbid) the clergy. In contrast, we have our "gedolim" signing declarations of heresy about books they can't even read, refusing to discuss the matter with the author, and declaring that clearly established science is heretical. It makes a mockery of not only religion but any semblance of leadership or even common sense. Of course, the Yad is a book of halachah, and it is very much influenced by Rambam's theology. What I really meant was to address Yakov's claim that because Charedi Gedolim have expertise in halachah, therefore they can assess the authenticity of theological texts of Rishonim. Which is certainly not the case. Avi, your second point is very important. In fact, IIRC, even Rashba held that Rav Yochanan erred in Eruvin 76b. I think there is a reason why the "chareidim/yeshiva world" has gone against a rationalist view of Judaism. The reason is because they believe the Samson Rafael Hirsh and Rabbi JB soleveichicks approach to dealing with leaving the ghetto which is tom ake a synthesis between Torah and western civilization does not work ,and hence they need to avoid contradictions between Torah and science as opposed to dealing with them. So it is not only a lack of knowledge on these peoples part but it is also willful ignorance. Sure. I wrote about this on several occasions, such as in my essay defending the ban. > I also have a letter from Rav Scheinberg in which he states that any source from the Rishonim saying that Chazal erred in science must be a forgery. 1) Great torah figures are reported to have said/wrote that great torah figures can be wrong. 2b) including those who reportedly said/wrote otherwise. 3) If the great torah figures who said they could sometimes be wrong were correct, that violates premise 2a. If they were incorrect, that violates premise 2b. C) The reports were wrong / writings were forgeries. From the non-rationalist point of view, questioning any of the premises is kfirah. > an average rabbi against all the leading scholars of the Vatican regarding whether the New Testament reflects Divine inspiration. … there is no reason to give them greater weight than the rabbi regarding the question of whether the New Testament reflects Divine inspiration. > If Chazal secretly knew of Semmelweis' discoveries 1200 year before anyone else did, why would they not tell anyone, when millions died due to ignorance of what we now consider basic principles of hygeine? I think this is the greatest emotional argument against the idea that Rabbonim of the past knew everything there is to know. If so, they were guilty of, at the very least, negligent manslaughter of billions of people for not providing knowledge of antibiotics, sanitation, and vaccines. And it continues today. Why haven’t the leading gedolim sent one of the cancer research labs instructions telling them how to find the cure? G*3 - I once asked that to a kollelnik who was insisting that the Gedolim know all science. I said, So why don't they reveal the cure for cancer? He answered: They have assessed that the dor is not ready for it.
" The definition of Gadol today is not the same as the classic definition..."
I think you made the best comment here. There are no formal guidelines for deciding who is a gadol. Lets face it, some are well respected rabbis, who have written and have had people scrutinize their decisions for a long time, such as Rav Elyashiv. He may disagree with these view, and he definitely is a tremendous posek, and is well respected by others who served with him in the chief rabbinate. But many, if not most are roshei yeshivos, who though they may be able to give a good shiur, their expertise may not have even past a few masechtos (if even the entire masechta)in a specific style of lumdus. There are roshei yeshivos that aren't able to locate a basic psak in a Mishna Berura or a well known Ramban on the Chumash (their Rebitzin would know the Ramban!). Should they also qualify as a gadol baTorah? Or is it politics that makes one a gadol? There are roshei yeshivos that aren't able to locate a basic psak in a Mishna Berura or a well known Ramban on the Chumash (their Rebitzin would know the Ramban!). Should they also qualify as a gadol baTorah? Or is it politics that makes one a gadol? One of the guys involved in the organization of the Slifkin ban and the retroactive conversion annulments was labeled as a "Gadol" in some of the Charadei news outlets. 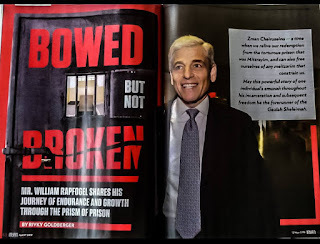 All he had to do was start throwing around a billionaire's money and appeal to popular Charadei prejudices to go from a small time Rosh Yeshiva with a questionable past to being a Gadol HaDor, at least in the eyes of the Charadei media. So yeah, allot of it has to do with money and politics. But many, if not most are roshei yeshivos, who though they may be able to give a good shiur, their expertise may not have even past a few masechtos (if even the entire masechta)in a specific style of lumdus. I spent about a year learning Masechet Makkot with a local "teaching" Rabbi and remember being blown away that he had semicha but had only ever learned that single Masechet. He was an amazing chavruta and I don't think it detracted from our learning at all, but I really did find it shocking at the time. "There are also the Myriad of Modern Orthodox and Dati Leumi Rabbis who are very learned in Torah even if they're not on one of the highest tiers of knowledge in Torah...""
You misunderstood me. The Rabbis i mentioned by name i beleive to be excepted that they are on the highest tiers of knowledge in Torah. In your quote i meant that besides them there are also the thousands of MO Rabbis and Dati Leumi Rabbis whom are not necessarily on those tiers, yet are well learned in Torah and there numbers also give credence, in my opinion, to such an approach seperately from those that i named and others who belong on that list. sorry if i was not clear. 1) In an article a few years ago, R. Norman Lamm wrote that both Rav Soloveitchik and Rav Ahron Kotler admitted to him that they are not experts in hilchos eruvin. 2) Most "gedolim" are ignoramuses when it comes to Tanach and Jewish philosophy. Since it is clear that such a position is untenable, the letter is therefore clearly a forgery (and/or written by a talmid toeh). Case closed. I am not exactly sure where you are coming from. Perhaps you can explain it to me. You say you are following the rishonim and at the same time modern science. Can these two be combined? > I said, So why don't they reveal the cure for cancer? He answered: They have assessed that the dor is not ready for it. Yeah, the claim is usually that the rabbonim know everything there is to know, but Hashem has a plan for the world and will reveal the knowledge when He’s ready in the natural way, by allowing people to discover it. For the rabbonim to reveal the knowledge would be inappropriate, and anyone who tried wouldn’t be able to, much like Yaakov knew when moshiach would come but was prevented from revealing that knowledge to the shevatim before he died. Like many religious beliefs, it accounts for why things are as they are despite a supernatural phenomenon that might make things different, is unfalsifiable, and has nothing beyond the belief itself to point to for why we should think it’s true. You know I miss the old Nosson Slifkin that used to claim that the gedolim were manipulated. Just because they did not address them does not mean they never heard of them. They clearly are not interested in debating you on this. "an average rabbi against all the leading scholars of the Vatican"
We had something like that in our history in the other direction: Ramban vs. Pablo Christiani on Judaism. Thomas Aquinas would have been a better match, except that I've seen nothing in Aquinas that indicates that he would have had anything other than contempt for such a proceeding. "is it not time to move"
You are asking the wrong person. It is time to move when the bans are rescinded. Have you asked the banners? The fact is, this is about what Judaism is about and will be about for the future. I see this as important as the original controversy over Rambam's philosophy. "I admit I have not read any of your books"
The popes have endorsed academic bible study since at least the 1940s. "The Galileo affair is still worthy of reflection"
And it took centuries for the Catholic Church to admit that it was wrong on that one. It took even longer to canonize Joan of Arc, who had been burned at the stake for heresy -- by the Church! The topic of this specific blog entry is more or less addressed squarely by Dr. Leiman's article "dwarves on the shoulders of giants." Others wrote in this topic before him (which he cites) and after him (which he does not)(heh), but I suspect Dr. Leiman's piece is the best known. The written material you refer to are their bottom line conclusions on the issue in order to set public policy. I don't think one can reasonably discern their depth of awareness and grasp of the relevant sources on the basis of such broad-side remarks-- which by definition cannot afford to convey any subtlety or sophistication. Of course it suits your cause to treat these broad-sides as some kind of scholarly statement which can easily be shown to be lacking in breadth and depth. "There are roshei yeshivos that aren't able to locate a basic psak in a Mishna Berura or a well known Ramban on the Chumash (their Rebitzin would know the Ramban!). Should they also qualify as a gadol baTorah?" I understand that if one wants an operational definition of "Gadol baTorah", this is what one gets to. However, it must be wrong. And dangerous. Knowing how things are is obviously supreme to knowing what others wrote about how things are. Also, I don't think there is a reason to asume that holiness is correlated positively to having a phenomenal memory. Re: The Moreh. I was struck by a recent shiur by a YU Rosh Yeshiva (who I respect greatly) on the topic of the Rambam's hashkafa- who relied entirely on the Mishna Torah. (And not even so much on Sefer HaMada.) He didn't mention the Moreh once, as far as I can recall. His shiur was still solid, but I found it odd, to say the least. I'm reminded of Herman Wouk's lines about the attitude toward the Rambam. Would you consider James Kugel an expert in Torah? This question speaks to what we consider in modern day to be "scholars", in contrast to the traditional definition of talmid chacham. The talmid chacham must remain within certain parameters, defined by the dogma of faith. He must demonstrate allegiance to the company line. Therefore, his "expertise" is internal. This is similar to your pope/new testament analogy. A "scholar", in the modern sense, uses critical thinking and has a broader perspective, not bound by religious dogma. So by the Heredi fundamentalist view, the "gedolim" are scholars in the traditional sense, but however much a true modern scholar you are, since you deviate from their dogma, you aren't considered by them to be a scholar. If you have read Kugel's book "How to read the Bible", you know that by orthodox standards it is kefira. But he is nonetheless a scholar in my book. A thought to ponder: Was Albert Einstein a scholar? I agree that your position is consistent with the approach of the rationalist rishonim of sefarad. However, many things have changed, both in science and in intellectual history. This highlights the need for a specific work reexamining the rationalist rishonim to see what we can still find useful in their works (e.g., reliance on science, reasons for mitzvos) and what we cannot (e.g., Aristotelian cosmology). I think the Rav's attitude to the Mishne torah and Moreh nevuchim can be able, Which is that the Rambam kept the two worlds separate. In other words in shiur the rav would never mention the moreh because his shiur as a rosh yeshiva was kuloh brisk , but in moriah he would mention the moreh because then he would be dealing with things on a philosophic level. > He answered: They have assessed that the dor is not ready for it. I was unaware that Judaism had a version of Star Trek's prime directive - that the advanced worlds not reveal their presence to less developed worlds in order not to alter their natural progression . Could someone tell me where in Tanach, or Gemara, or ANYWHERE this Jewish Prime Directive is? Could someone tell me where in Tanach, or Gemara, or ANYWHERE this Jewish Prime Directive is? גמרא. תנו רבנן: ששה דברים עשה חזקיה המלך, על שלשה הודו לו ועל שלשה לא הודו לו. גירר עצמות אביו על מטה של חבלים - והודו לו, כיתת נחש הנחשת - והודו לו, גנז ספר רפואות - והודו לו. Rashi, Rashba, Rabbeinu Bachye, Bartenurah, Tashbetz all explain that Chizkiyahu hid the book of remedies because people were relying exclusively on advanced technology to cure themselves and effectively eliminating any reliance on God for cure. Of course the earliest, most classic source of the Jewish Prime Directive was Hashem throwing Adam out of the Garden of Eden after eating from the Tree of Knowledge. Hashem did not want Adam eating from the Tree of Life to gain immortality in that state of corruption. He would lose the ability to be reformed. Again, this is a calculated, conscious deprivation of significant material benefit to mankind for fear of the spiritual cost it entails. Isaac, both of those cases are entirely different: Chazal is speaking of knowledge that *was* widespread and was taken away, never to be returned. I don't see the difference in moral terms between depriving human beings of beneficial knowledge that was previously known and depriving human beings of beneficial knowlegde that is as of yet unknown. In both instances, human beings are being deprived of beneficial knowledge. And we see Judaism approves of such deprivation when there is significant spiritual cost. Isaac, there is a huge difference between my example and yours. In your case, humanity is being deprived of knowledge they have. They are being forced backwards, as it were. In mine, humanity is moving forward but, with external help, could make a huge leap forward but are instead left to progress at their own speed. Your example is controversial. Mine in condescending. Re: the Pesahim reference about Chizkiyahu. and "Again, this is a calculated, conscious deprivation of significant material benefit to mankind for fear of the spiritual cost it entails." Ok, but you haven't shown anywhere that "the gedolim" will be given this secret not-yet-discovered knowledge (shall we call it God's secret knowledge?) to cure mankind's ailments and can secretly not only keep it hidden from view but decide (collectively?) when the public is ready to receive it, while letting people suffer until that time, and then finally revealing it. I don't think the source has anything to do with the matter in question unless one equates God with chazal and then in turn, chazal with modern day "gedolim!" And even then, it's a stretch. This was not the question I was addressing. I was establishing the legitimacy of the principle behind the claim. But now that you're raising the specific challenge, I'll try to work on it. But I'm not sure what kind of source you would consider to be sufficient to show it is real. "This was not the question I was addressing." In my opinion, this is THE relevant question that needs addressing based on the comment, "I said, So why don't they reveal the cure for cancer? He answered: They have assessed that the dor is not ready for it." -Which is why I pointed out that what you did address is not relevant, but perhaps you were thinking of a different question. I think the absurdity of the above statement speaks for itself, and I would be shocked if you can justify this type of statement with sources. And as to your question, "But I'm not sure what kind of source you would consider to be sufficient to show it is real," how could you possibly know that without having access to my brain? Why not try a source that you actually think (with intellectual honesty) backs up such a position, and then we can go forward from that point and possibly debate whether it's a plausible interpretation or not. I don't understand your question unless you are intimating that you would not conduct an honest search but simply try to justify the attitude with anything you can find even if the "source" in question doesn't really justify it even in your own mind. If that's the case, there is no point to such a fruitless exercise. My hesitation regarding sources comes from the fact that different people lend variable levels of credibility to certain types of sources. In particular, there are several legends/records of famous rabbis making cetain statements about how Moshiach might have come had act "XYZ" was performed, but either the generation wasn't worthy, or their Torah priorities dictated that act "ABC" be performed instead. Now I happen to think that although legends such as these may not be 100% HISTORICALLY ACCURATE their very acceptance and longevity indicates a certain kernel of truth behind it. So before I start tracking down these statements for you and try to verify their source and possibly increase their credibility, I first wanted to make sure it was worth my time. I hope this answers your criticism. "My hesitation regarding sources comes from the fact that different people lend variable levels of credibility to certain types of sources. In particular, there are several legends/records of famous rabbis making cetain statements about how Moshiach might have come had act "XYZ" was performed, but either the generation wasn't worthy, or their Torah priorities dictated that act "ABC" be performed instead." With all due respect, I think you must realize that Rav Ovadia Yosef possesses all of those characteristics, and is an expert in all factions of Torah, and CERTAINLY has learned, and knows baal peh, the rishonim in Pesachim, and Moreh Nevuchim. One glance at Yechaveh Daat and Yabia Omer should have you silenced. And he still signed onto the ban. 1. Rav Ovadiah is not a rationalist. 2. Unlike the other Gedolim, Rav Ovadiah writes (elsewhere) explicitly that it is NOT kefirah to say that Chazal were mistaken in science, precisely because of the Rishonim in Pesachim. 3. As Rav Ovadiah makes clear in his letter, he has absolutely no idea what my books are about. By the way, I let your comment through this time, but in general I don't allow anonymous comments. Actually, there are much more likely explanations, to do with askanim, kannaim, and politics. -you are entitled to believe this if you wish. I personally wouldn’t rush to conclude this way. I would, and I don't think it's at all presumptuous. See my post Who is An Expert in Torah. -I saw that back in September. You even admit that “some such as rav elyashiv” know the other world view. Why do you claim you would dispute their knowledge? We are *not* talking about expertise in “all” torah, but rather expertise in “vast majority” of torah (that in fact is the definition of a talmid chachom). Furthermore, Rav Elyashiv’s opinion needs more thinking into than your dismissal of his opinion as applying only to his sphere of influence (the charedi world). No, you're not. You are obligated to follow your own Torah authority. They might be your authority, but they are not everybody's. -we are both wrong. The truth is like this: they are everyone’s authority by default unless your personal rav, as a stated earlier, is a yirei shamayim and expert in torah and you follow his psak, in which case if he disagrees for you personally (not for the whole tzibur), then you can be somech on his ruling. Better analogy: how could you go wrong with following the majority of experts in Chinese medicine? Answer: very easily. -western medicine vs. complementary and alternative (eastern) medicine is different reb natan. The rule is this: do what works – evidence based medicine. But in our case it is not one group vs. the other, but which individuals have the greatest breadth and depth of torah knowledge in general. The question is, who are the experts? I have backed up my case with dozens and dozens of Rishonim and Acharonim. The Gedolim have not backed up their case at all. So your claim that they have the upper ground in terms of "breadth and depth of Torah knowledge" IN THIS CASE has nothing to back it up. Personally, I would think that the Rishonim have the upper ground in terms of breadth and depth of Torah knowledge. This is all common sense. Although, bshaas hadechak, your view may be permissible. -it is not my view but todays leaders’ view. But you’re missing the big picture. Yes you bring a comprehenseive list showing depth and breadth of knowledge *in this case*. but again, briefly, you must’ve missed or forgot about what I wrote before: those views were mutar lechatchila until recently. The many sources you bring are very nice, but have no bearing on the issue of whether they should be used today. And about who the leaders are, again, we analyze torah knowledge across the board, not in one specific area. -how many were asked? We are talking about many individuals. You should ideally hear it firsthand from them. I think Rav Elyashiv deems it not lechatchila, but bshas hadchad it is acceptable, so you are partially correct. That's an interesting chiddush in Judaism. The Rishonim don't matter, the Acharonim don't matter, all that matters is what the Gedolim say, even if it goes against Rishonim and Acharonim! -again, and you know this, there are rishonim and acharonim who hold otherwise. And we are trying to create a unified corpus of halacha, and it turns out that many rishonim and acharonim are not accepted as part of this corpus today. As I said, it does not exist in this case. -again we are dealing with a psak on whether these views are permissible lechatchila, not what the majority of scholars say on specific issues. Whether it is majority or minority, we go after the decision of the generation’s leaders, and they determined against what you think is the majority. Perhaps there are other sources they know of that you aren’t aware of which turn the scale the other way? Sit down with Rav Elyashiv and other leaders to find out for sure – you need to know *their* knowledge, not what others claim their knowledge is. -Your last two points, as well as your other points, do not affect the main point I have been trying to make, namely, that the leaders' decision should be respected and heeded due to various reasons, some of which I have provided. What reasons? Hashgachah? That's your act of faith, and something that could be spun in many directions. There's simply no mechanism by which the pashkevil of several charedi gedolim becomes a binding psak on all klal Yisrael. It's ludicrous. -no no no. again, the revelation of kabbalah has given us a new dimension into the wisdom of chazal’s scientific knowledge, that it could be based on kabbala. Gradually, this view became more accepted, leading up to today where it seems to be entirely accepted amongst the leaders. -I saw that. Good points! I don’t think it makes so much of a difference to what I am saying, however. I think that others would beg to differ. Also, the fact that someone is good at dealing with certain types of communal issues does not mean that they are good at dealing with all types of them. -correct! But we have to base our lives on probability, not possibility. Most probably they are capable at dealing with the majority of communal issues. Whether or not this one was dealt with properly, only G-d knows. But they DID lie about my books and their effects! Besides, it shows poor leadership when such individuals are entrusted with such power. -how do you know they lied? Maybe it’s motzi shem ra! Regardless, it shows quality leadership when individuals research the issue thoroughly, as was done in this case where multiple people consulted with Rav elyashiv and others multiple times. The "daas Torah" of Rav Elyashiv is (a) disputed as to what it is - I have reliable reports that he was ONLY saying that this approach is not for the charedi yeshivah world, (b) very unclear where he gets his info from; he is notoriously manipulated, and (c) not binding on anyone who does not make him their Posek. -(a) never heard that. How reliable are these reports? (b) how do you know for sure he is “manipulated” – perhaps it’s motzi shem ra! (c) I explained how this isn’t the case earlier. There's very little new in what you write. Please restrict it to new points. But it has to include the relevant areas! But in our case it is not one group vs. the other, but which individuals have the greatest breadth and depth of torah knowledge in general. Again: I think that it is which individuals have the greatest breadth and depth of Torah knowledge IN THESE AREAS. The Gedolim are not qualified to dismiss the views of Rishonim and Acharonim that they aren't even familiar with! the revelation of kabbalah has given us a new dimension into the wisdom of chazal’s scientific knowledge, that it could be based on kabbala. But many ACharonim disputed that this "revelation" did anything of the sort. Most probably they are capable at dealing with the majority of communal issues. Whether or not this one was dealt with properly, only G-d knows. Actually, I know. You can read the details on my website. -how do you know they lied? Maybe it’s motzi shem ra! Because I spoke with the person who allegedly "went off the derech" because of my books! Regardless, it shows quality leadership when individuals research the issue thoroughly, as was done in this case where multiple people consulted with Rav elyashiv and others multiple times. This is getting comical. It shows quality leadership of the Gedolim when a psak is issued that is so utterly incomprehensible, vague and contrary to Torah scholarship that multiple people have to consult with them to figure out what on earth they could possibly have said and meant, and each comes back with a different understanding? This must be some strange new usage of the phrase "quality leadership" that I wasn't previously aware of. You should read this section from Rambam's introduction to the Mishneh Torah right away. לג לְפִיכָּךְ אֵין כּוֹפִין אַנְשֵׁי מְדִינָה זוֹ לִנְהֹג בְּמִנְהַג מְדִינָה אַחֶרֶת, וְאֵין אוֹמְרִין לְבֵית דִּין זֶה לִגְזֹר גְּזֵרָה שֶׁגְּזָרָהּ בֵּית דִּין אַחֵר בִּמְדִינָתוֹ. וְכֵן אִם לִמַּד אֶחָד מִן הַגְּאוֹנִים שֶׁדֶּרֶךְ הַמִּשְׁפָּט כָּךְ הוּא, וְנִתְבָּאֵר לְבֵית דִּין אַחֵר שֶׁעָמַד אַחֲרָיו שְׁאֵין זֶה דֶּרֶךְ הַמִּשְׁפָּט הַכָּתוּב בַּתַּלְמוּד--אֵין שׁוֹמְעִין לָרִאשׁוֹן, אֵלָא לְמִי שֶׁהַדַּעַת נוֹטָה לִדְבָרָיו, בֵּין רִאשׁוֹן, בֵּין אַחֲרוֹן. לד וּדְבָרִים הַלָּלוּ, בְּדִינִים וּגְזֵרוֹת וְתַקָּנוֹת וּמִנְהָגוֹת שֶׁנִּתְחַדְּשׁוּ אַחַר חִבּוּר הַתַּלְמוּד. אֲבָל כָּל הַדְּבָרִים שֶׁבַּתַּלְמוּד הַבַּבְלִי, חַיָּבִין כָּל בֵּית יִשְׂרָאֵל לָלֶכֶת בָּהֶם; וְכוֹפִין כָּל עִיר וְעִיר וְכָל מְדִינָה וּמְדִינָה לִנְהֹג בְּכָל הַמִּנְהָגוֹת שֶׁנָּהֲגוּ חֲכָמִים שֶׁבַּתַּלְמוּד, וְלִגְזֹר גְּזֵרוֹתָם וְלָלֶכֶת בְּתַקָּנוֹתָם. The real seat of legally binding halachic authority is with your local Beit Din, not with any supposed "Gadol Hador". There simply is no such thing as a concept of universally binding halachic authority outside of what was codified by the Sanhedrin and layed down until the close of the Talmud Bavli.